Getting Out of Your Way – Love. Life. Practice. One of the questions that came up from people who had hoped to do the NaNoWriMo webinar was one word: Plot. They were having trouble with it. I had another colleague say the same thing to me as we talked about a new project she was undertaking. She had a great handle on the marketing, the production, the design – but there was also the matter of story. She needed to tell the story of her products, and that made her nervous. “I don’t know how to tell stories!” she laughed, and I laughed too, because she was so wrong. I knew this for a fact, because my friend is a professional hypnotist, and when she helped me with some improvements to my memory she did so through the use of a “guided meditation.” She had me picturing a cavern going deep into my mind, following it down until I came to a “control room.” She described the walls, the buttons, the levers, the display…and then she led me step by step through “re-programming” my own memory settings. It worked wonderfully (and is still available when I need it). But that’s not the point – the point is that what she called guided visualization is just another way of saying told a story. Sorry to break it to you. That story idea you’ve been thinking about? The one you’ve been pounding your fingers towards? It’s not new. It’s been told approximately 7,435 times before, 1,243 of which were in books and fifteen of which were made into movies. Not only that, but 200,435 other writers have had the same plot idea. Not all of them will put it to paper – much less 50,000 words of it – but they all had the same idea. Call it the Seven Basic Plots, the Hero with a Thousand Faces, Jungian Archetypes and the Collective Unconscious – it’s all been done before. And that should come as a huge relief, because that means you don’t have to make up anything. My third NaNoWriMo practically wrote itself, because I knew exactly the story I wanted to tell. It’s first modern popular incarnation was a Dashiel Hammett book which was made into a movie by Akira Kurosawa which was re-made into a Western by Sergio Leone and Clint Eastwood and then re-made again into a Chicago Gangster flick with Bruce Willis. That made writing the book extremely easy. I sat down with popcorn and a notebook and watched Yojimbo, A Fistful of Dollars, and Last Man Standing, outlining them scene-by-scene and noting the similarities. Then I mapped my versions of the characters into place, threw in a slightly weird meta-plot, and it was off to the races. It was like the book wrote itself, I would say, except you hear writers say that a lot, when they describe flow states. 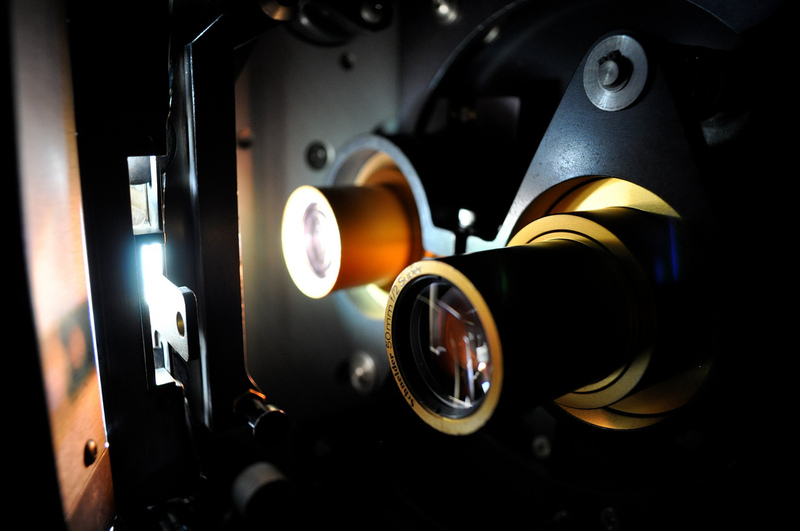 Think about this: A film projector is just a mechanism by which tiny bits of translucent celluloid are run past a light source. The celluloid has colors on it that change the light, and when our brains see it we translate it into images, movement, and story. 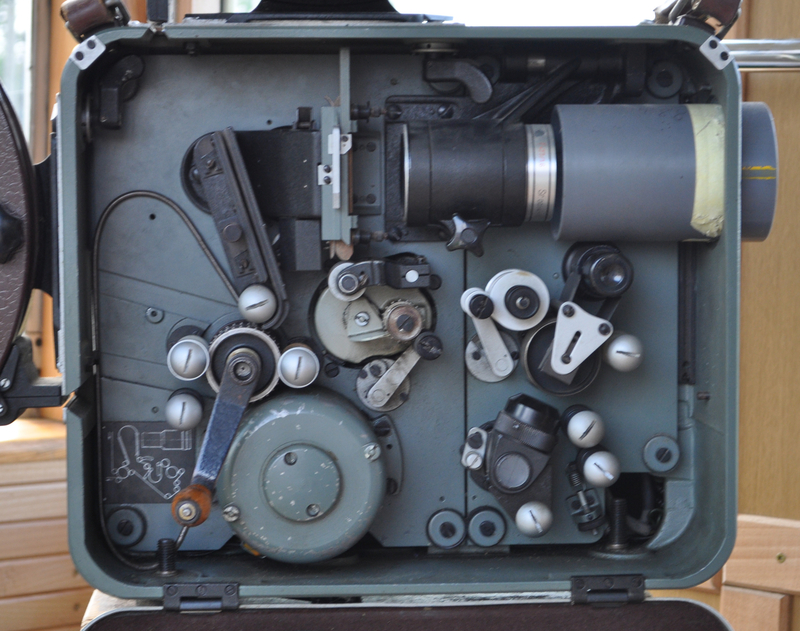 That one projector can tell a million different stories, depending on what celluloid strips are running through it. It doesn’t “create” the films – it simply mediates them into a form that lets them turn into a story. Now, before the metaphor gets too far, you are not the projector. The projector is the mechanism. It’s the keyboard, the writing software, the coffee, the chair, the desk, the lamp. It’s all the mechanics that allow the story to take a form that is understandable to other humans – this month, that means a book. But that mechanism is not you. You, my dear writer, are the light. You are the active presence that shines through the mechanism, through the film in your brain, and translates it into words. Sometimes you burn bright – sometimes you are just a glimmer. But you aren’t creating the story any more than the mechanism is. You just bring it to life by shining. So take off the damn lens cover and shine, already!